Is it time to think bigger with ecolabelling? Laurel Brunner discusses the growing importance of ecolabelling plastic waste in the graphics industry. Circular economies are all well and good, but it takes dialogue at many levels, not least between governments. The urgency of dealing with plastic waste was illustrated in a recent report that a small town in Malaysia has become a primary dumping ground for plastic waste. The place is being buried under 17,000 tonnes of the stuff. Some of the plastic is classified as clean and some of it isn’t and has to be processed in some other way. 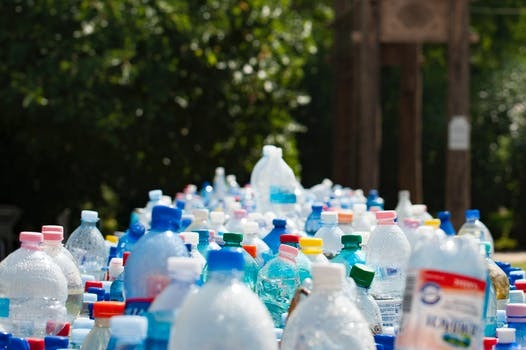 According to the United Nations Environment Programme “In 2015, 47 percent of the plastic waste generated worldwide was plastic packaging waste half of which came from Asia with China being the largest culprit. However, the USA generates the most plastic packaging waste per person, with Japan and the European Union following. Calls are being made for a labelling system to distinguish between different types of plastic waste for recycling. It’s a reasonable start that would ensure plastic waste gets routed appropriately, assuming recycling and reprocessing supply chains are in place. A problem is that ecolabels haven’t really take off, not in the graphics industry and not elsewhere. Ecolabels aren’t desperately popular in many industrial sectors because they are seen as intrusive and expensive, delivering little benefit. This is of course not the point of an ecolabel, which is intended to confirm compliance to a given set of environmental criteria and to reassure consumers. A large part of the problem is that there is no real international coordination of ecolabelling schemes which are numerous and designed to operate in specific geographies. Efforts to internationalise labels such as the Nordic Swan which originated in Scandinavia, and Germany’s Blaue Engel have been underway for a while, but don’t seem to get very far, at least not in the graphics sector. The alternative is for regulation under the purview of governments. To be truly cross border, it may be time for some sort of international effort to standardise the ecolabels. If governments are sincere about supporting circular economies, they should be reaching out across geographies to find out what can be done to support local industries and markets within an agreed regulatory system. There are many problems with trying to achieve an internationally recognised labelling scheme and environmental compliance, but the United Nations is well-placed to develop one and to get nations to adopt it. Alternatively, national governments could start working with industry sectors to develop the basis for an initiative that could be applied globally. Perhaps this might be a task for the European Union to undertake, once it’s free of the pesky Brits and their half baked Brexit expectations.